Each vehicle measures 6 1/2" L. x 4" H.
The friendly figures are 4 1/2" H.
The 3 vehicles and chunky figures provide young children with realistic sounds and music. Simply push the figure into the top of the vehicle and listen to the roar of the engine. 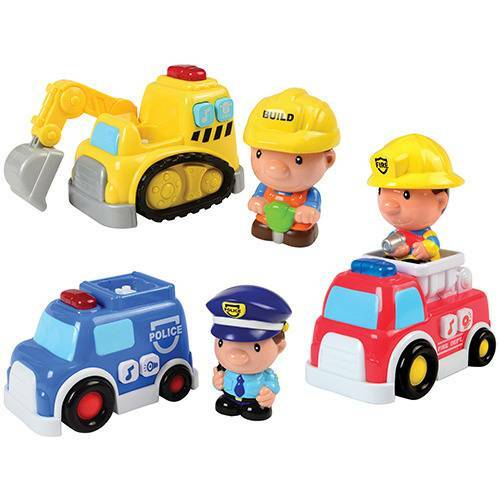 Includes firefighter, police officer and construction worker.